It’s odd. 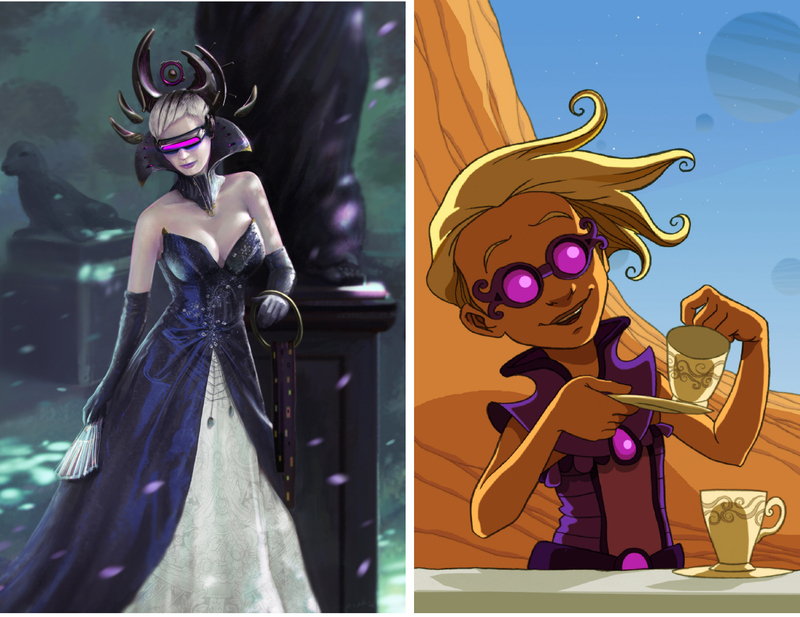 I’ve been working on the latest LoE manuscript: The Shadow tech Goddess for almost three years. It’s been, by far, the longest slog I’ve ever had in writing a book. And then, there’s Carahil’s Busy Morning, a children’s book I decided to write on a lark which took me about five minutes to finish. Kids?? Of course I could have lied and said “Sure … kids will love these.” My LoE series is not for kids–too much violence, too much darkness floating around. It is what it is. But then I thought about it. 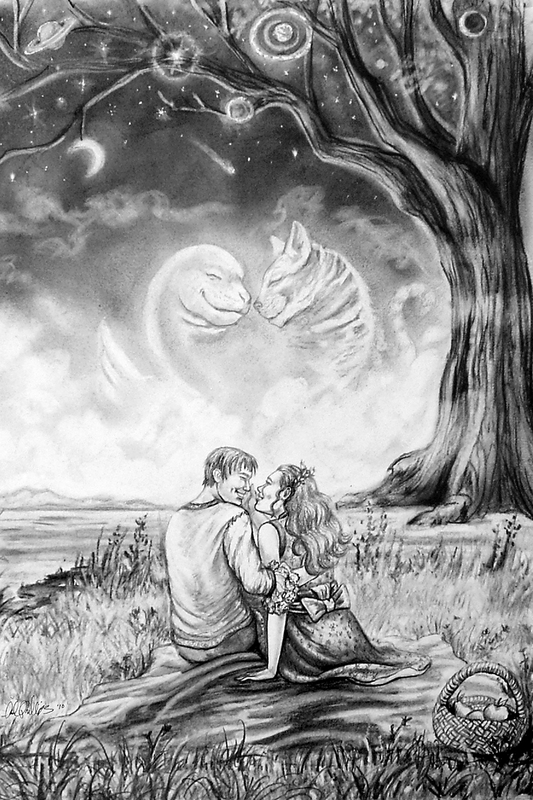 One character that is a continual ray of fresh light in the series is Carahil, the Great Nargal Spirit and patron god of the House of Blanchefort. Just a big kid himself, Carahil would do well in a children’s series, and if I ever got around to writing one he would be the subject matter. I put that thought on the back burner and let it simmer. Over time, I wondered about Carahil and his jolly face emblazoned in the pages of a kid’s book. What would the book be about? Would kids understand Carahil’s supernatural origins? Would they identify with his cosmic, star-faring ways? It occurred to me that all the weirdness in the world really doesn’t matter much, as long as there is a familiar framework in which to paint and give it perspective. And, what could be more familiar than a nuclear family setting–a father, a mother, the kids and all the pressures and situations that come along with such a setting. A family of odd creatures in space is really just the same as the family next door. I began thinking about Carahil’s family. I knew that Carahil had taken up with Mabsornath, the Cat Goddess seen in LoE Book II: The Hazards of the Old Ones. Mabs was actually the main bad guy in the book, plotting the destruction of the planet Xandarr. Being the straight shooter that he is, Carahil managed to turn Mabs around. In the end, they became close, eventually committing themselves to each other and mutually sharing their secrets (a very big deal among the gods). As the LoE Series progresses, we see Mabs pregnant, and, eventually, the proud mother of seven children. In a vision, Captain Davage and Countess Sygillis see them playing at her feet. That’s all I had, Carahil’s children aren’t seen again … until I began writing The House of Bloodstein. In the Temple of the Gods on Xandarr, Lord Kabyl, Lady Sarah and Lord Phillip of Blanchefort go seeking Carahil’s help. Instead of Carahil emerging, a tall, sultry woman with short blonde hair and a glowing visor over her eyes appeared. I immediately knew who it was: Atha, the youngest daughter of Carahil. Unlike her father, Atha is a mysterious and somewhat ominous presence. Her motives are unclear. To prove to Kay that she is in fact Carahil’s daughter, she takes him to Carahil’s Gift Shop in 1000 Carahil Park and shows him a children’s book where she is depicted as a little girl in Carahil’s household. The book was a light-hearted family farce called “Carahil’s Busy Morning” where Atha, as a precocious kid, tends to stir up innocent trouble. So, then I had it, all at once. I had the characters and I had the setting. In five minutes of working on my manuscript, I also dreamed up a 1000 word story of Carahil and Mabs raising their seven children at the Top of the Universe, encountering surprises, and teaching their kids important lessons. It was the easiest writing I’ve ever done. It just felt right. Dreaming something up and writing it down is the easy part, turning it into a living, breathing story is hard. As it’s only a 1000 words, the story would need to be driven by the artwork, and that would take an artist of exceptional skill. My good friend BeaKimera, an amazing Manga artist and a representative of many others soon had the solution. Bea embraced this project and showed real enthusiasm. She had a whole portfolio of artists for me to look at, all of whom were immensely talented–one, though, was the clear choice, with a clean Manga style and a flair for story-telling: Carapalou. Seven months and a lot of hard work later, here we are with a finished book, each page a masterpiece. The end of a long, hard road in publishing is an ISBN and a barcode. CBM now has those things and I can’t wait to share it with the world. 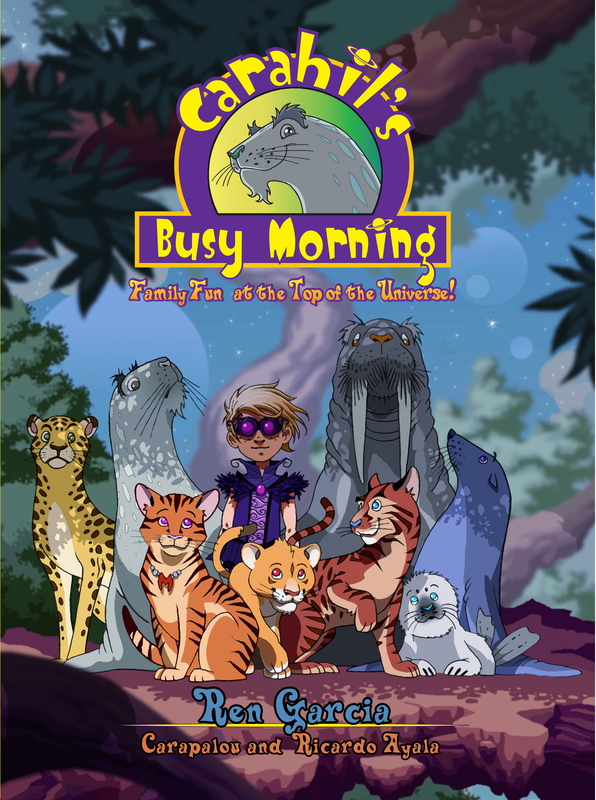 Carahil’s Busy Morning will be available in late June from Loconeal Publishing. copyright 2013, Ren Garcia, Carapalou, Fantasio and Carol Phillips.